While they may not be glamorous, super-fast or have the cachet of a sports car, Best Cheap Minivans are often a family necessity. Some buyers are now choosing minivans as an alternative to big, expensive SUVs. Fortunately, there are some excellent choices out there that fulfill more than just basic necessities. 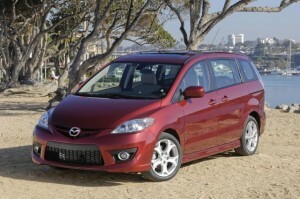 Today’s minivans offer consumers style, comfort and, best of all, attractive used car prices. Here are three of our top picks for Best Cheap Minivans, backed by reviews from the automotive experts. Hyundai Entourage – Consumer Guide lists the 2007-2009 (2009 was its last year) Hyundai Entourage as a Recommended Pick. For 2009, the nod comes for “size, utility and standard safety features.” Furthermore, say CG editors, “Warranty coverage is impressive, and they beat every comparably equipped vehicle on price.” Edmunds says “…if it’s maximum value you’re after, the affordable and universally competent Hyundai Entourage won’t steer you wrong.” The 2008 model won a Top Safety Pick from the Insurance Institute for Highway Safety (IIHS). Other contenders for Best Cheap Minivans include Chrysler Town & Country, Dodge Grand Caravan, Kia Sedona, Nissan Quest, Toyota Sienna, and Volkswagen Routan.